For a change from the Rapid Fire, Anthony suggested I read Rank and File on the bus up to the Gun Bar ((with one small change of letters this could become the Gin Bar)). I’m not sure that it was because he was bored with Rapid Fire but rather than he had received some new toys in the post and wanted to play with them. The first part of the day was trying a burger from the barbecue as the search for the perfect burger continues (see the next post). We then retired to the table where some terrain was laid out and Anthony’s French-Indian War figures were ready for battle. Rules of Engagement were simple. Two roughly equal forces face off against each other across a valley. Let loose the dogs etc etc. I deployed my cavalry and a battalion of infantry to product my right flank, positioned the battery with another battalion to protect it on the hill and split the remaining four battalions. Two were to hold my left flank and the remaining two to act as a strike-force up the centre. The centre was to be the main strike force as I could rapidly reinforce with another two battalions and support with the artillery. The battle commenced. My left flank advanced and formed line waiting for an expected onslaught from the British. It came and my two battalions performed admirably, not only holding the flank but forcing the British back. Meanwhile my artillery played on the British battalions and caused them some consternation. On my right, my dragoons advanced on the river in company with a battalion of infantry to attempt to prevent the British crossing at that point. 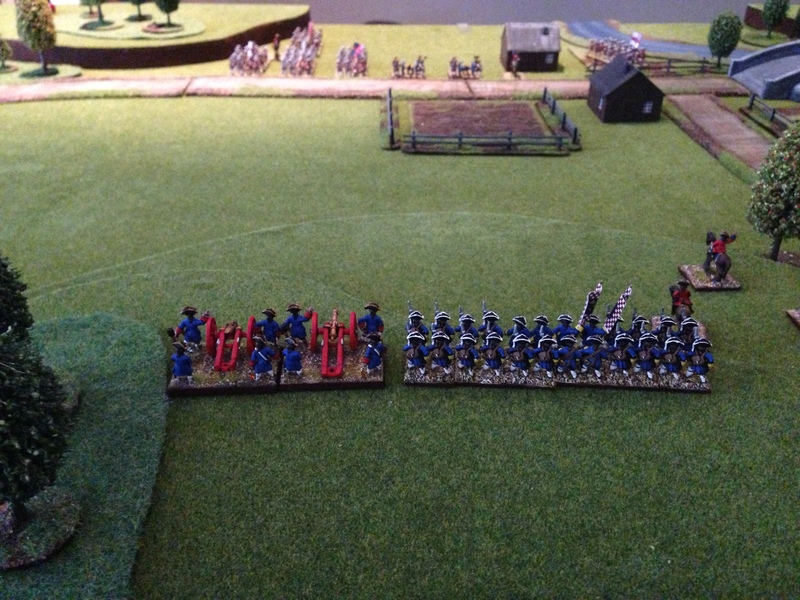 My dragoons however ended up being roughly handled by the British and left the field. Towards the end of the battle before things went pear-shaped on my right. Soon after this both the French and British right flanks crumbled. We called time at this point as both armies would have withdrawn from the field to lick their wounds. We really enjoyed the Rank and File rules and by the end of the battle we were playing bound after bound quite comfortably. How did you find the rules? – I am curious – despite not really needing another period…. I always wanted to play SYW using Austrians, and I used to have an Austrian Imperial Army of the period in 15mm. But nowadays I would rather do it in 6mm for the Eurpoean component, The battles were much too big for 6 battalions a side. I liked the rules – they operate in a similar method to Ric Priestly style rules – so easy enough to pick-up after playing things like BKC etc. There is a RASH principle in them as well. By the end of the game we were comfortable with the sequence and what happened. 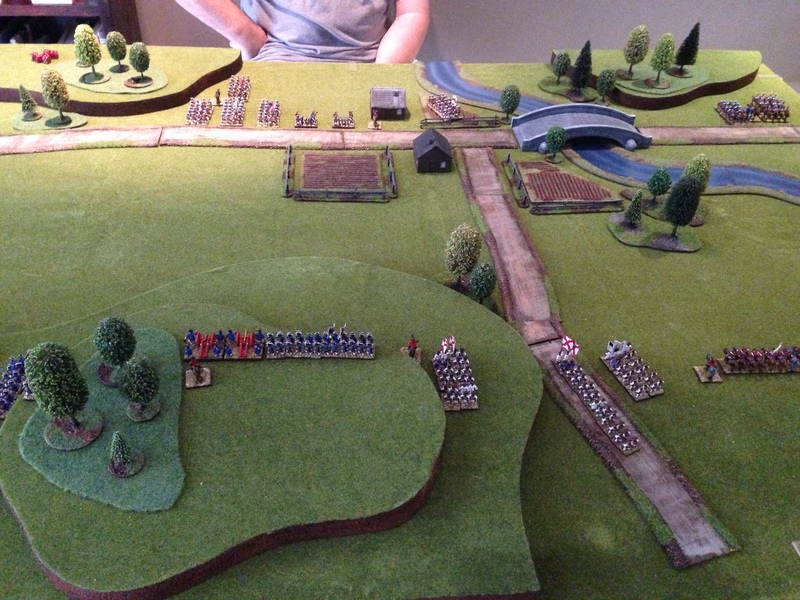 There were a couple of odd things – such as a column of my infantry were in the position to charge enemy cavalry. Not sure whether that was prevented by the rules and we missed it or just whether it was OK and the infantry would get slapped badly by the horse. At this stage though, I’d recommend them. Since when has starting a new scale/period been a challenge – the only real challenge is where in the lead mountain to put the new figures? I’m thinking of two new projects for the next 12 months – 30YW and I’ll give you a hint of the second, “hats and caps”. 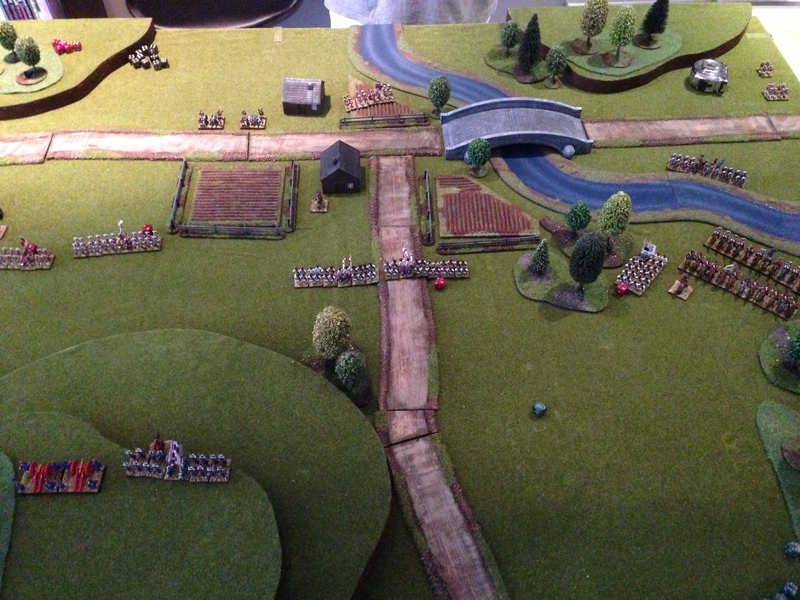 Anthony has his battle report for this little fracas up at The Battle of Heath’s Farm.